Enlarged version of base CRF1000L Africa Twin gets longer suspension, bigger tank and screen and far more style and stature without compromising its easy versatility - it's the bike the revived Africa Twin always should have been. 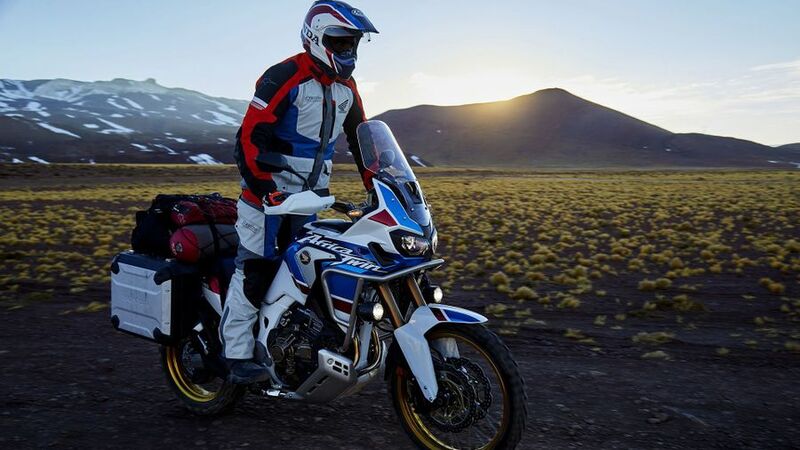 2015's all-new Africa Twin was a great adventure bike, with true off-road ability but this new Adventure Sports version, with longer suspension, larger tank and uprated spec gives the revived legend the stature and status it deserves. Interested in buying a Honda CRF1000L Africa Twin? 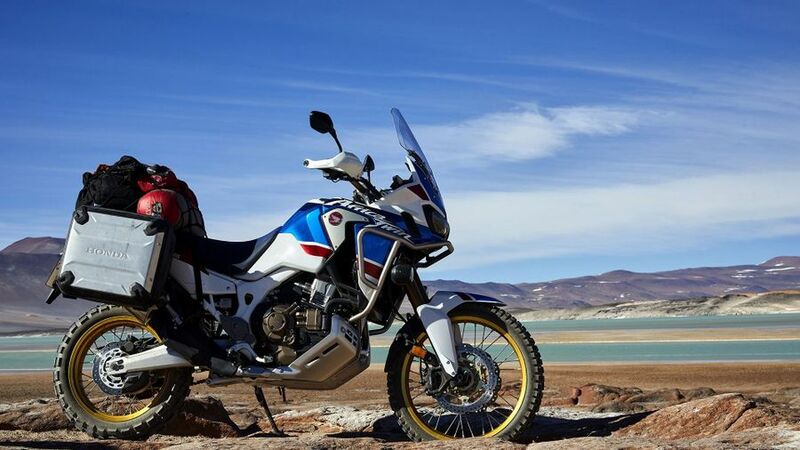 The first, 2015 Africa Twin did a lot of things right, being a sort of 'middle-range' adventure bike between the likes of Triumph's Tiger 800 and BMW's popular but more expensive R1200GS and with true off-road ability. But this enlarged, taller, specced-up version lifts things arguably to the level it should have been in the first place. The suspension is longer, the tank 5litres larger and broader, the screen taller, there are uprated clocks, added features and, in 30th anniversary HRC livery it looks gorgeous, too. But best of all is how it all works and gels together so well. 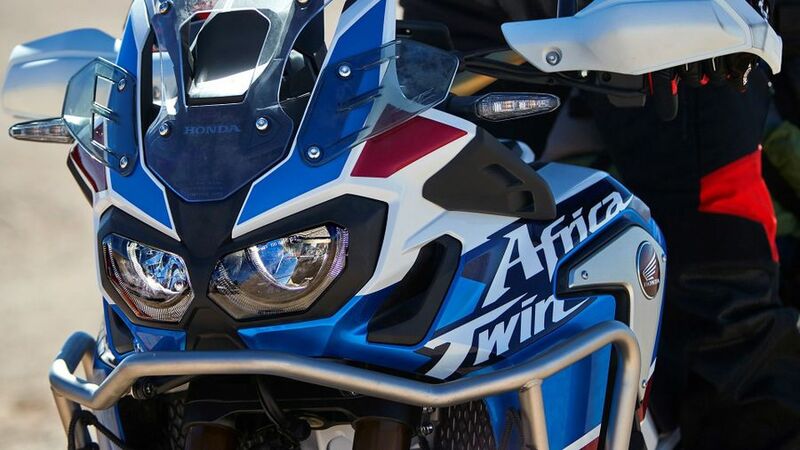 Welcome back Africa Twin, we've missed you! Yes, there's no getting away from the fact that this is a big, tall bike and one that can be a handful when maneuvering. Although the 870mm seat is 20mm adjustable it's still awkward, especially for sub-six-footers, to get on board. But if you can cope with that, from there on in the new 'Twin's ergonomics are almost perfect, with a comfortable, roomy riding position (although the slightly narrow seat incurs pains after 50minutes or so) that gives a commanding, relaxed view. The taller screen gives decent weather protection and its impressively manageable and nimble on the move. 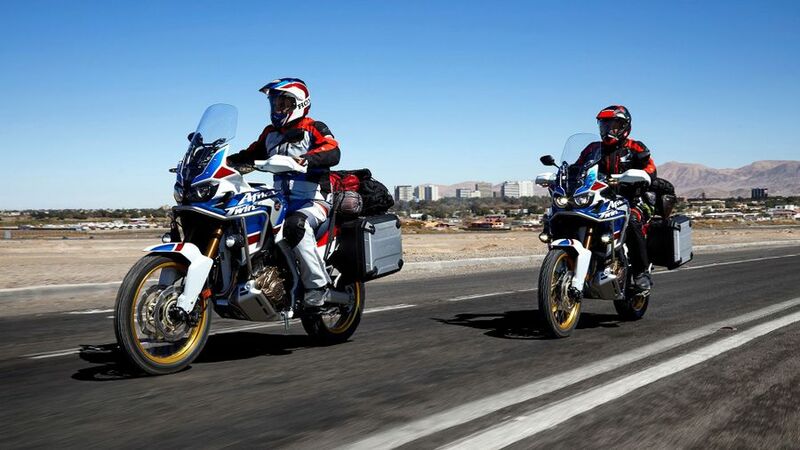 Sure, an enormous adventure bike can never be completely versatile and this bigger Africa Twin does struggle slightly when attempting to squeeze through traffic, but in most other respects it truly does 'do it all'. That bulk is compensated by giving a great view over cars and its slimness and wide bars give great 'wiggle-ability'. Motorway cruising is a breeze, there's plenty of room for luggage and pillions. It's fuel range is 200 miles+ and it can handle off-road far better than most, too. A bike capable of taking you to Timbuctu? Certainly - and isn't that one definition of 'practicality'? 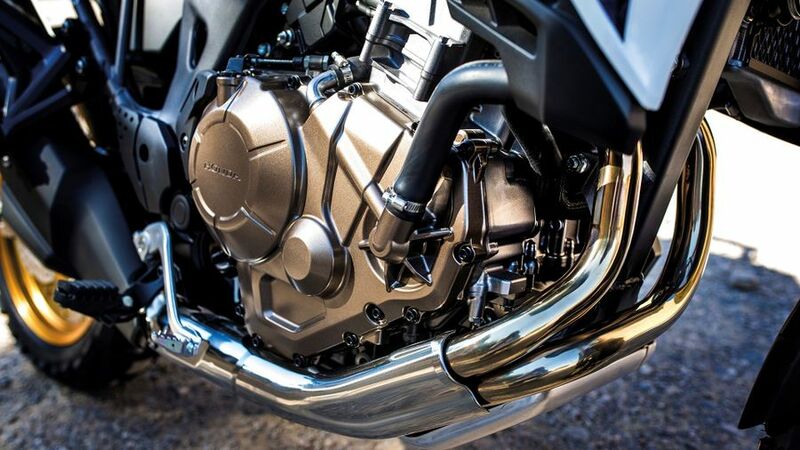 The Honda's chassis is one of the most welcome surprises about the new Adventure Sports. Revised, lengthened suspension allied to brilliant, neutral balance combine to give both a super-plush magic carpet ride on motorways - so much so that's, at first, it's tempting to think the suspension is too soft, it's not - while in the turns the Honda belies its height and bulk with precise steering, great feel from the front and a willingness to swing and lean without ever feeling insecure or tying itself in knots. At the end of the day the new Adventure Sports is a premium Honda product so you shouldn't expect much by way of thrift or economy. That said, the 'Twin still impresses with decent (50mpg+) fuel consumption thanks to its fairly soft performance, something highlighted by its increased fuel range, while it's similarly undemanding on consumables such as chain, tyres, brake pads and so on. Honda depreciation is also far better than most, and we would certainly expect that to be the case with this special version of the 'Twin. There have been virtually no problems reported with the new-style Africa Twin since the standard model's launch in 2015 and, updates aside (new clocks, suspension etc), we have no reason to expect anything different with this new Adventure Sports version - top end Honda's do, after all, have a more impressive record for reliability than most. The DCT option, too, is generally proven and trustworthy, especially now that it's significantly refined eight years on from the original system's launch on the first VFR1200F in 2010. Like most Hondas - and indeed most of its main leading competition, the new Adventure Sports version of the CRF1000L Africa Twin comes with a standard two years/unlimited mileage, parts and labour, manufacturer-backed warranty, so there's no concerns there. Its service schedule is fairly typical, too, with the first (oil change) service due at 600 miles, the second minor service coming at 8000, with major services including valve adjustments etc, every 16,000. 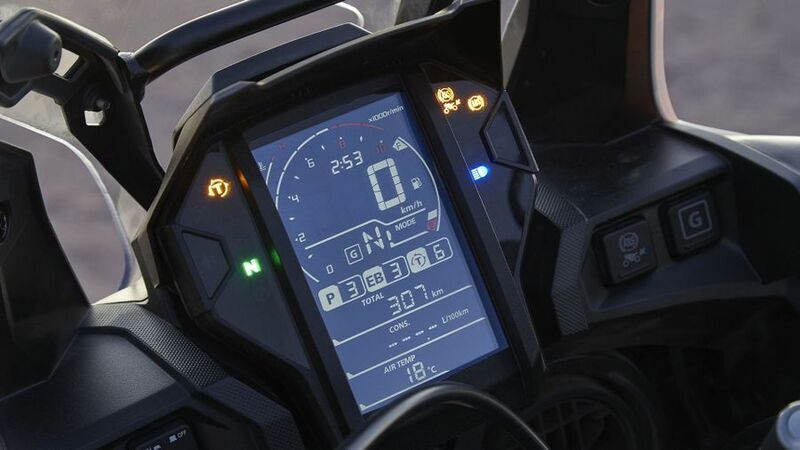 While still not quite in the league of the fully-accessorised R1200GS, Multistrada or KTM Super Adventure, which these days can bristle with electronic suspension, full colour TFT screens, a whole suite of electronic rider aids and adjustable everything, the uprated Adventure Sports isn't at all bad and, in the real world, has most of what you need. There's cruise control and heated grips, optional luggage, an adjustable seat (although the screen, annoyingly, isn't), lots of crash protection, switchable modes and ABS and more. The original, '80s and '90s Africa Twin was always a prince among adventure bikes with the style, stature and class to match its quality and versatility and, with this incarnation, which not just added stature and style but spec, too, the new Africa Twin is at last a worthy successor. The first, 2015, 1000cc Africa Twin was a good bike, but in this form it's a sensational one and a bike any owner would truly cherish.